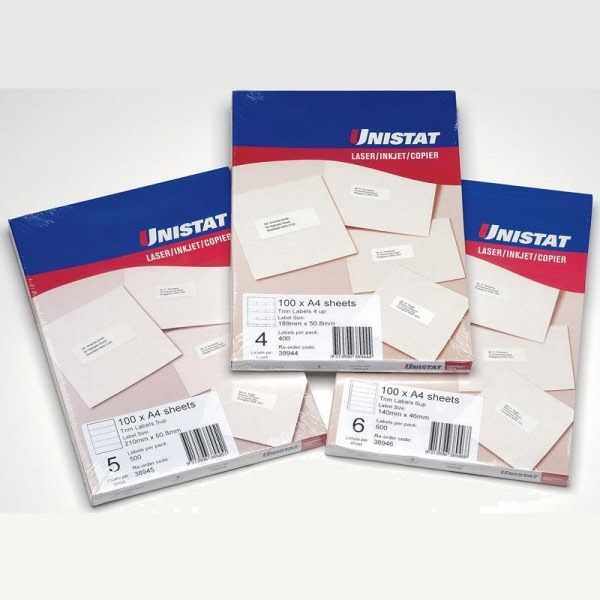 Unistat labels offer you a cost effective, software-supported solution for your labelling needs. Use Unistat labels in your laser printer, inkjet printer or copier. 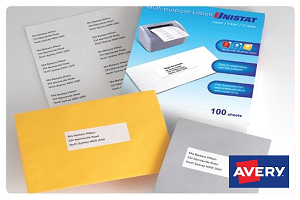 Select from a full range of mailing and parcel label sizes. Unistat labels are a suitable alternative / replacement for the now discontinued Avery® range of DL multipurpose labels. 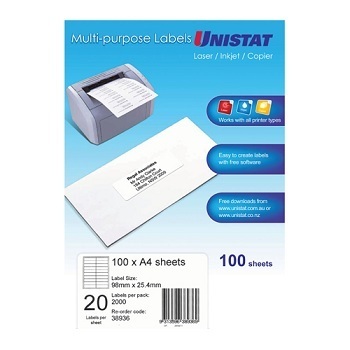 UNISTAT Laser, Inkjet and Copier labels offer guaranteed results for use in all your office equipment. A4 Size - Natural White - Permanent adhesive. 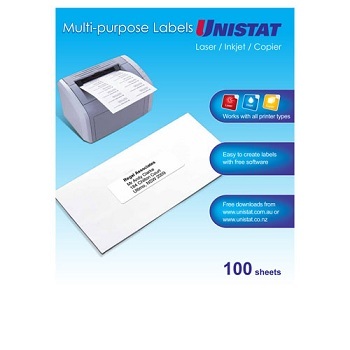 UNISTAT Laser, Inkjet and Copier labels specially designed to use with TRIM Software.